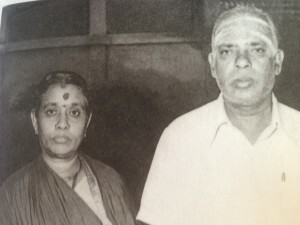 We all know Pradosham Mama also known as Pradosham Venkatrama Iyer (Meela Adimai as he refers himself), the 64th Nayanmar as fondly referred by none other than the Pratyaksha Parameshwara Sri Sri Sri Maha Periyava…. Mama’s Bhakthi towards Maha Periyava is beyond words… One of the depictions of Mama’s Bhakthi is “Mani Mantapam For Maha Periyava” – The Spiritual & Architectural Marvel Of The World In This Century !!! As much as we come to know about Pradosham Mama, His Bhakthi, His Followers & Their Ardent Bhakthi towards Maha Periyava, we cannot help but adore yet another great soul who is none other than Smt. 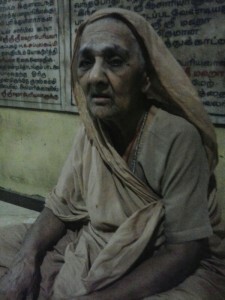 Vedhambal, wife of Sri Pradosham mama. புருஷர்கள் உலக பாசங்களனைத்தையும் விலக்கி தெய்வ பாசத்தில் மட்டும் லயிக்காத வரையில் அவர்கள் ‘மகான்’ நிலையை அடைய முடியாது. ஆனால் உலக ஆசைகளை துறந்து பகவானுக்கும் முக்யமாக கணவனுக்கும் அடிமையேற்று விட்டாலே ஓர் மனைவி மகானாக மாறி விடலாம். மகான்களாக இயங்கக்கூடிய ஸ்திரீகள் மறுபிறவியில் புருஷர்களாக பிறந்து துறவியின் நிலையை அடைபவர்களாவர். Mami has been a real pillar of strength in Pradosham mama’s life. There is a quote that goes like this: “Motherhood is near to divinity. It is the highest, holiest service to be assumed by mankind”. We all know that no occupation in this world is more trying to soul and body than the care of young children and specially children with special needs! What patience and wisdom, skill and unlimited love it calls for. Mami has proved her divinity by taking care of her kids besides mama’s busy commitments. Being a devoted wife and a loving mother, her bhakthi towards Maha Periyava has been equally intense like mama’s. my namaskarams to our maha periyava (even though i haven’t seen Him personally i love Him and has a great regard for Him) and sri pradosham mama and you. I have seen Maha Periyav physically thrice in my life! He always remained a Mauna Murthy. I have never heard Him speak, but I have listened to His audios which have survived thanks to Great Devotees of MahaPeriyava and Pradosham Maamaa like Sri Ganesa Sarma. I have not physically seen Pradosham Maamaa, but I have heard His Booming Voice in an audio, in which He says that He still does not know how to do Bhakthi to Maha Periyava! Maami has devoted her entire life looking after Pradosham Maama and His Family, constantly remembering Maha Periyava. Such a Blessed Soul Sh eis! My humble Namaskaarams to Maha Periyava and the Divine Couple. May They Bless us always! Jaya Jaya Shankara, Hara Hara Shankara! 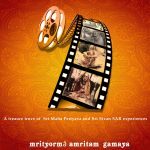 Is there any video interview of Smt. Vedhambal mami? If so it would be very much helpful to know much about Pradosham mama’s bhakti towards periyava. 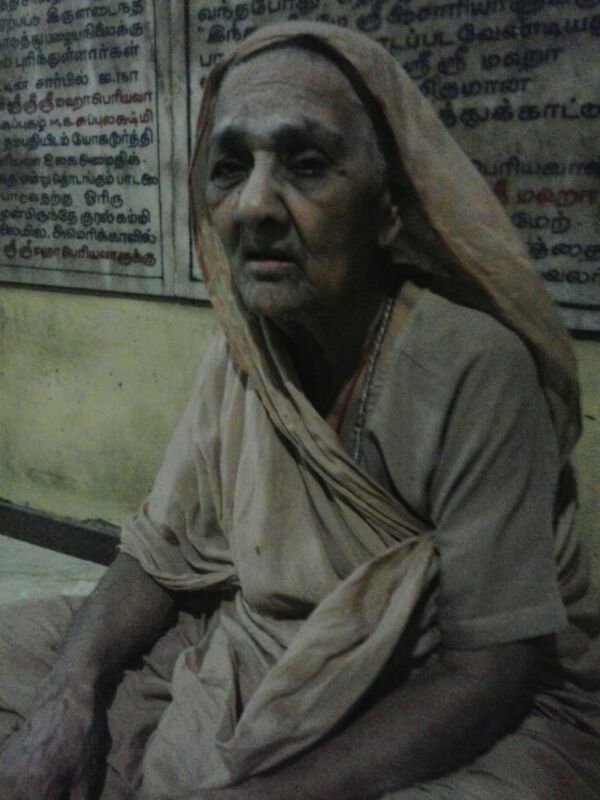 Respected amma may I have yr address.with Mahaperiyava blessing I would like to come in person and pay my obeisance . Bangaru Kamakashmi Amman thottam street… Opp to kanchipuram collectorate office… Any one can guide you to house from the office. Dear Amma, do you have a phone number, I can reach you? Please share. amma,ungathukku enn baryalum nanum january mudal thedi vandu irundom;ungala paathu namaskarichu aseervadam vanga;neenga unga ponnathukku poi irundel.ippo unga photo va pathu namaskarichukkaren.engal saubhagyam.